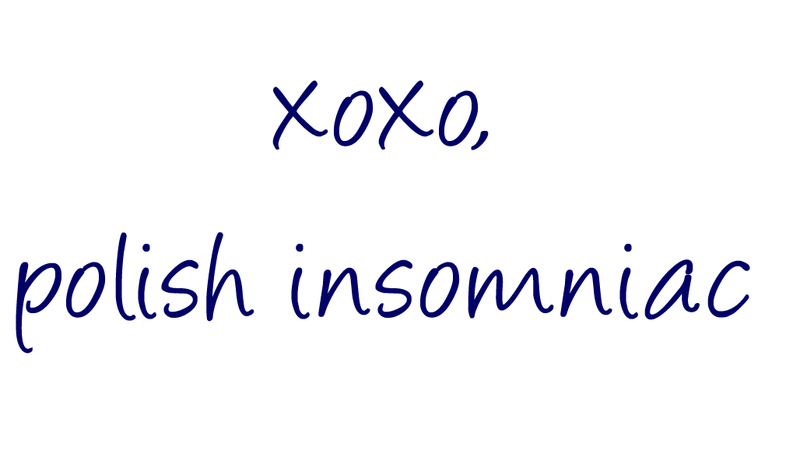 polish insomniac: Save Money on things you already buy with Cartwheel and Enter to Win a $1,000 Target Gift Card! Save Money on things you already buy with Cartwheel and Enter to Win a $1,000 Target Gift Card! Do you shop at Target? My husband and I do. In fact, we shop there a little too much – usually 3 or 4 times per week! It’s easy to do. We have a SuperTarget just over a mile from our house. We buy our groceries there, get our prescriptions filled there, and buy clothes there. And shoes. And nail polish. Let’s not forget the nail polish! It’s generally where I buy all my Essie’s! I have always loved printing coupons from Target’s website. A few months ago, Target gave us another way to save money by using their Cartwheel App. I think I was one of the first people to use it! See, in the past I had been big into “couponing,” but now that I am working full time again, I just don’t have the time for it! The best part about Cartwheel is there is no planning required. I go to the store for something I need. I check to see if there is a Cartwheel discount for it by using the search field in the app, or by simply scanning the barcode! If there is a discount available, I add it to my Cartwheel right then an there. It takes less than a minute. Sometimes I even do it while I am standing in line! If you aren’t using Cartwheel yet, let me walk you through the sign up process! 1. Go to http://cartwheel.target.com to sign up. You can log in two ways: with your Target OR Facebook account. I choose Facebook. 2. Download the app to your mobile device. For Android devices, you can download Cartwheel in Google Play, and Apple devices can download Cartwheel in the App Store. I have the app on both my iPhone and iPad. If you don’t have a smartphone, don’t worry! You can do everything from your computer and print out a single bar code when you are ready to go shopping that will contain all your deals. 3. Browse around to get an idea how Cartwheel works. I prefer to browse on my desktop computer, or on my iPad, because you can see more things at once. You can browse by “collections” (above) or categories (below). There are over 700 offers available! Each category will have subcategories beneath it to help narrow down your search. For example, under health & beauty you will find bath & body, hair care, health care, make up, oral care, personal care and skin care. Naturally, one of my favorite categories to browse under is Health & Beauty – Makeup ! 4. Add an item to your Cartwheel by tapping on it. Once you have selected it, you will see a red checkmark in the top right corner. In this category I selected several Revlon offers! 5. As a new user, you can add 10 offers to your Cartwheel. Too see which offers you have selected, click on “My Cartwheel” or the big red checkmark in the lower right corner. To remove an item from your Cartwheel, just tap it and select remove. As you use Cartwheel, you can unlock badges to open up more spots to add offers to on your Cartwheel. They are awarded for reaching savings milestones ($10, $25, $50, etc. ), interacting with Cartwheel (example: adding an offer from a collection to your list), and via social sharing (an invited friend who joins Cartwheel). For each badge that is earned, a new spot on your Cartwheel list is opened. 6. Ready to go to the store? Just grab your smartphone and go! If you are only able to using Cartwheel on your desktop, click the “barcode” tab at the top of you screen, then print that page (above). It will have a list of the offers you have added to your Cartwheel along with the barcode that will be scanned at checkout. 7. Start shopping! Don’t forget, if you are using your smartphone you can add offers to your Cartwheel while you are in the store! When you get to the checkout lane, you will want to bring up your barcode by tapping “My Cartwheel” or the big red checkmark in the lower right corner. 8. This is very important! If you are using any other coupons, whether they are printable coupons from http://coupons.target.com/ or manufacturer coupons, hand those to the cashier FIRST. Always hand them your Cartwheel last. Now that you know how to sign up for and use Cartwheel, let me show you the savings I earned on my most recent trip! Let me break down this receipt for you. Every item that has an arrow beside it was already on sale. Below any item that I had a Cartwheel offer on, it will list the savings I earned. On this trip I saved on a Champion Jacket (regular price $27.99, on sale for $24.99, I paid $18.74), Campbell’s Soup (5% off), KEURIG Coffee (20% off) Lean Pockets (10% off), Frozen Fruit (5% off) and Revlon Parfumerie Nail Polish (10% off). Before I went to the store, I quickly browsed for printable Target coupons and found some for products already on my shopping list. It took me all of two minutes! For the Lean Pockets I had two Target coupon ($1 off 3) and one manufacture’s coupon ($1.25 off 5). For the soup I had two manufacture’s coupons ($0.75 off 2). On top of those coupons, I used my Target Redcard that is tied to my checking account to save another 5%! When I was checking out, I used a $5 gift card I had earned on my previous transaction (Spend $20 on L'Oreal and get a $5 Target Gift card). Basically I saved $24.07 with little to no planning! That $11.11 in Cartwheel savings helped me earn earn my $50 Savings Badge, which means I opened up one more spot on my Cartwheel. And believe me, I will have no trouble filling it! Now it’s your turn! What's your favorite current offer in Cartwheel? Let me know in a comment below to be entered to win a $1,000 Target GiftCard®! Be sure to include you email so that we can contact you if you win! This giveaway is open to US Residents age 18 or older. Winner will be selected via random draw, and will be notified by e-mail. The notification email will come directly from BlogHer via the sweeps@blogher. email address. You have 72 hours to respond, otherwise a new winner will be selected.